As the nights draw in and the sky starts to darken at 5pm, thoughts turn to the newly kindled season. Leaves are falling and those bright, crisp clear days lead on to chilly evenings. One of the more romantic seasons, it was the famous poet John Dunne who sums up the beauty of the season. While that may be true, there are some unfavourable seasonal aspects that come out to play. Ones that we would all rather do without. Alongside the crisp days and gorgeous foliage lurks the threat of cold and flu. Whether you are a family with kids returning to school after the Easter break or at university or in an office environment. The germs are there and they are itching to hook onto your immune system and wreak their damage. Nobody likes illness at any time of the year. But there is nothing worse than being ill, shivery and cold in the cold season. Who has the time to get ill? Yet you don’t want to send your little one or yourself into a work environment where you will just spread your illness. Trust us, no one will thank you for it. So how to get around the dreaded flu season? Sometimes illness is inevitable, but here are our top 4 ways you can fight the dreaded lurgy this season. It was Benjamin Franklin who once pondered that “an ounce of prevention is worth more than a pound of cure.” Old Ben was on to something special. By this, we mean that if you prepare and treat your body before hand you are working from a better and healthier base. Think of your body as a house, about to suffer through a raging winter storm. If you have fixed all the leaks, patched the shingles and caulked the windows, chances are it will emerge relatively unscathed. It’s giving you the best starting point from which your body can resist the cold and flu bugs. How does this work? Imagine that every day there is a war raging in your body. Your antibodies and blood cells are under attack from minor and major bugs and niggles. The cold and flu viruses generally work by attacking your cells. They are then mutated, turning into factories that then spew out the flu virus. Your body’s immune system does fight this, but in the process, it suffers. The healthier the immune system, the stronger it is to fight back and prevent infection. So even if you get a flu injection at the start of the season, you may still be susceptible to the common cold. Prepare mentally and you are already halfway to freedom. Get yourself checked out, book a doctor’s appointment, blood test, dentist and so forth. Whatever it takes. Imagine you are preparing for battle and that it is shortly to commence! Don’t just feed your brain, feed your body and push it to the limit. It can seem much easier to want to vegetate in a warm cocoon of the couch, blanket, and carbs. But it’s important to remember that a healthy diet and good exercise are brilliant for body, health and mind. It’s about feeding yourself the right vitamins and nutrients from your food. Doing a moderate amount of exercise is an excellent way to fight off colds and flu. By moderate we mean 30 minutes up to four times a week. It’s about maintenance; not slogging your body out. For this is when you can actually make it more susceptible to illness. However, a gentle or moderate amount helps boost your immune system. Bottom line? A well-balanced diet and an exercise regime will arm your body's defences, naturally. As a bonus it’s good for mental health. Get your vitamins from your food and diet if at all possible. The biggie that even we Australians tend to lack in the Autumn and Winter months is vitamin D. That’s because the days are shorter, often clouded over and we are stuck inside all day. You can try and replenish this with a small daily amount of time allotted to sun worshipping. Without the standard SPF. It’s still important to ensure that you are protecting your skin daily, but Vitamin D is essential for so many bodily functions. More importantly, there has been significant study and research to suggest that Vitamin D is an excellent help in staving off cold and flu. So this is one vitamin that you may think of as worthwhile taking as a supplement. Alongside Vitamin C and echinacea, these are nature’s ultimate superhero vitamins. Sometimes, the inevitable occurs and we do get ill, no matter our best intentions. So what to do when it gets to the critical illness stage? Aside from crying into a pillow and mounding up the tissues, what are the treatment options? If you don’t want to take over the counter medicine, there are natural, medication-free ways to cope with the burden of cold and flu. It has been established that echinacea and garlic supplements may help lessen the length and severity of a cold or flu. Heavy doses of Vitamin C (or at the very least, a hot toddy) may also help ease the symptoms. Kids and adults alike may also benefit from Manuka Honey. If you'd like to learn more about this, you can find more information here. So if you take these four steps into account, you too should be able to enjoy the true grace and beauty of the coming seasons. Get outside, crunch across the leaves nestling in parks. Hike in the chilly early morning mists and take advantage of the cooling weather to light fires and toast marshmallows with friends. It’s a wonderful time of year, not one we need to fear. 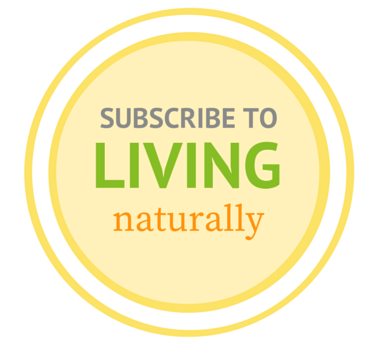 If you’d like more tips for being a healthier, happier you, then why not subscribe to our Living Naturally blog? Recipes, lifestyle tips and more abound to help you live the naturally good life.